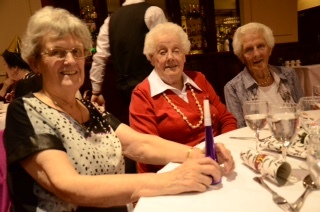 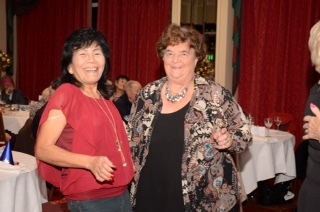 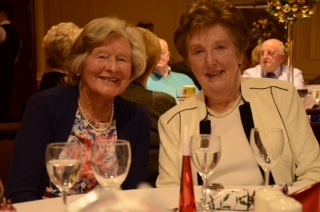 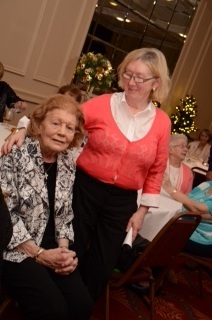 Malahide Lions Club hosted the 4th annual Senior Citizens Party held under our auspices in the Grand Hotel On Saturday, December 3rd. 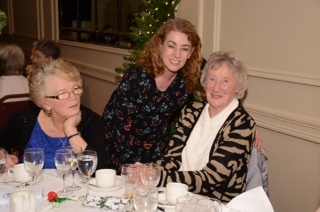 As usual many of the guests were brought to the venue by Lion members and partners, to arrive for 5.30 p.m.There they were greeted by Santa and Mrs. Claus and by Christmas music played on keyboards by Muireann Conway. 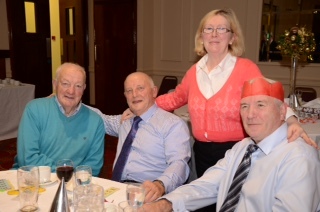 The management and staff of the Grand Hotel had laid out the O'Carolan Suite in festive array and each table was decorated to a high standard. 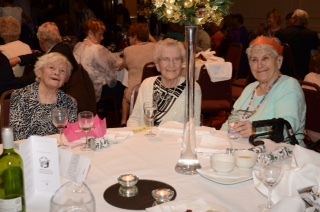 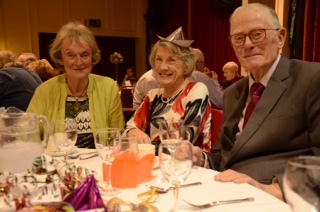 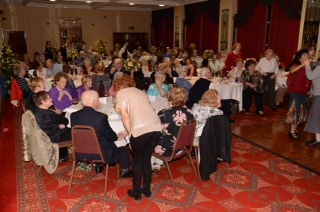 115 guests sat down to a Turkey and Ham dinner with wine sponsored by the Shiel Family of Londis, Yellow Walls Rd. 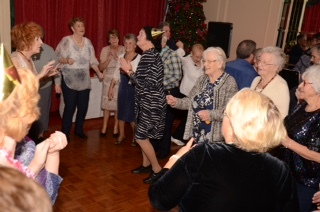 Afterwards there was music and dancing with our perennial favourite, Derek McEvoy, on the keyboards. 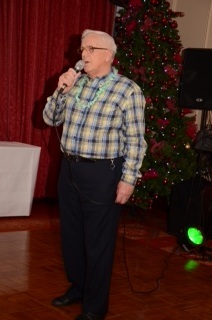 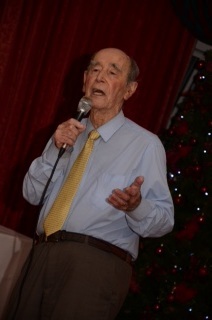 A number of the guests also entertained us with song and story. 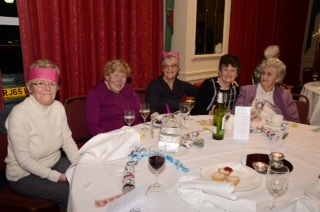 We also had a raffle, with prizes donated by local businesses, and we thank them for their support. 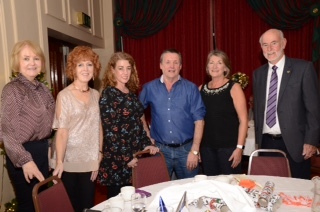 A special mention must go to the chief co-ordinator, Jo Morris, whose trojan work leading up to the event had to be seen to be believed. 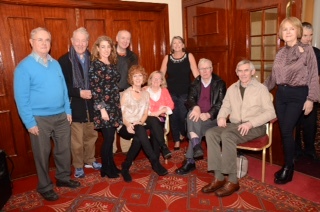 Thanks, too, to our photographer, the evergreen Lion Tony McCarthy, whose work is to be seen elsewhere on the page. 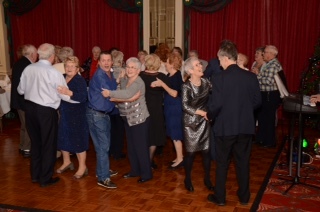 All in all, a great night to kick off the Christmas season.